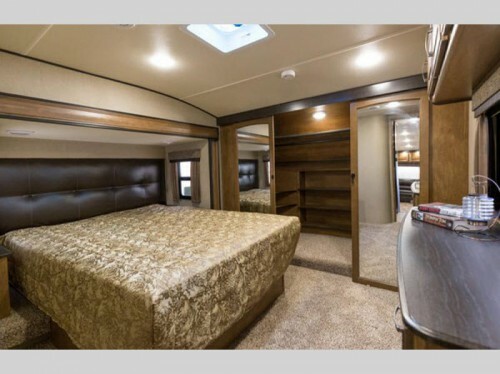 There’s More to Love in the Grand Design Reflection Fifth Wheel! You won’t believe how much fun you will have with the Grand Design Reflection fifth wheel! 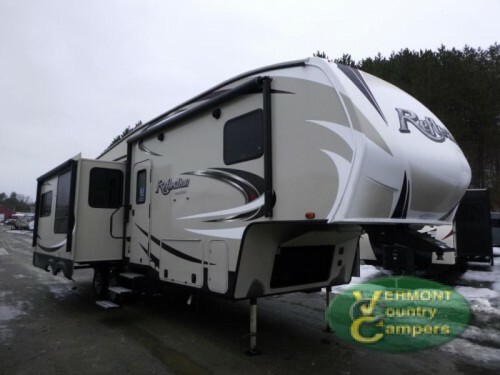 This amazing RV comes in ten different floorplans, all of which will be beautifully and comfortably designed to make your next camping trip the best one yet. 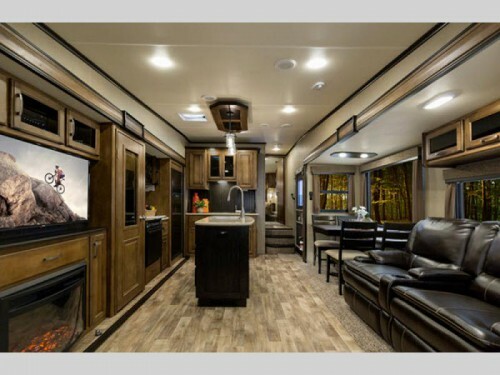 Check out the Grand Design Reflection Fifth Wheel! The inside of the Grand Design Reflection will come with two to four slides to increase the floor space with some options having enough room for up to nine people. Plus, the large panoramic windows located in the slides will give you a fuller view of the outdoors around you and make the inside feel even more spacious. The beautiful and spacious interior is the height of luxury. This extra space inside will make room for more amenities for you and your family. The living room comes with a 40” TV and radius fireplace that you can enjoy from the many pieces of residential furniture like the tri-fold hide-a-bed sofa or heated theatre seats! Cooking is made easier with high quality appliances and an additional kitchen island. Cooking on the road in the Reflection fifth wheel will feel very much like you are at home. 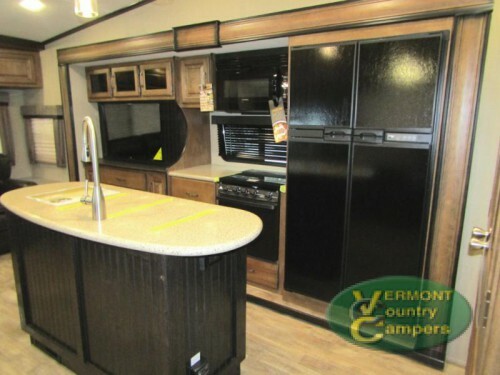 Items like the double door fridge with exterior thermostat control, a booth or free standing dinette set, and the kitchen island that comes with some floorplans will ensure that preparing and eating your meals will be simple. Bunk beds add space for everyone. Taking care of your entire family becomes incredibly easy with the many sleeping options included in these Grand Design campers. 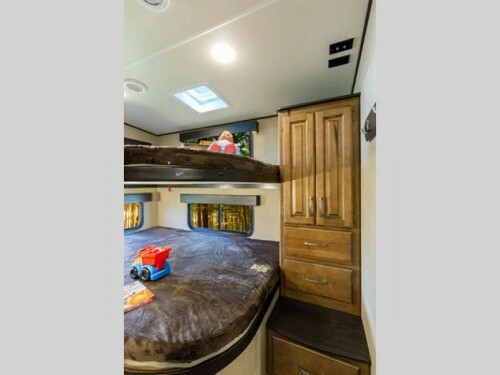 From the optional double bunks complete with storage to the queen pillowtop master bed that can be upgraded to a king, everyone will have a place to call their own. Upgrade to a king size bed in the master retreat! Every area of the Grand Design Reflection fifth wheel will help make your RVing life better. Even the exterior will have items like a one-touch electric awning and power stabilizer jacks to make setting up your campsite faster, so you can enjoy more time relaxing. To find out even more about is amazing recreational vehicle, you can contact us or come to our location today! We would love to show you around our selection of fifth wheels, travel trailers, motorhomes, and more!